If there’s anything we could use more of in life, it’s probably time! 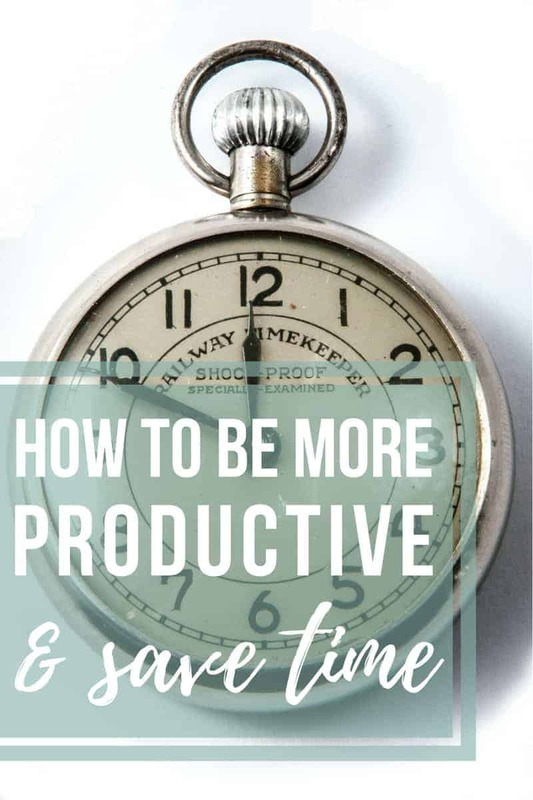 If you’re anything like me, you’re always trying to figure out how to be more productive and save time. Here are 7 of my favorite time management tricks! If you found a genie in a bottle and had three wishes, let me guess what they would be…. More time, more time and maybe more money? It’s no secret that busy mamas, like you and me, could use more hours in the day. Sometimes at the end of the day, I’m looking at the clock and wondering if there is anyway that I can just add a few more hours to the day to get everything done. If only we could make life easier. But, here’s the deal. We’re all given 24 hours a day. When your to-do list seems never ending, you’ve got to figure out how to be more productive and save time. 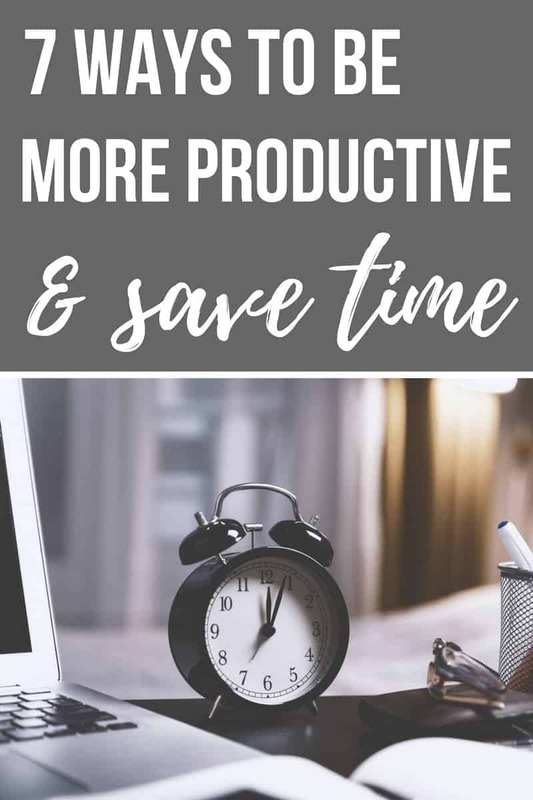 How to be more productive with these 7 time saving tips! Make freezer meals and use the crock pot. Baked Potato Soup – I have a big batch of this in the fridge right now…so yummy! Slow Cooker BBQ Pulled Pork – We make this all the time…just follow the recipe on the back of the McCormick packet! Logan is always telling me to clean as I go in the kitchen because usually it looks like a bomb went off in there after I’m done cooking. I’m certainly trying to get in the habit of doing this more. But this time saving tip doesn’t have to just apply to the kitchen…clean as you go while you’re renovating, clean as you go while you’re playing with the your little ones in the living room, clean as you go while you’re crafting…you get the point. If you’re trying to figure out how to be more productive, try giving the whole “clean as you go” thing a try! You guys know that I love to plan ahead, but lately I’ve been taking it one step farther than I normally do with a detailed time blocking system. I’m shocked at how much more I’m able to get done during the day! I use Google Calendar to plan out my weeks and time blocking schedule. 90% of the things I do are done 1-2 per week, so I set up repeating events on the calendar so each week is pretty much set! Here’s a list of 14 Google calendar tricks to make you even more efficient! Did you know that you can order your groceries online and pick them up outside of the store?! What will they think of next!? This is a HUGE time saver. Most stores require a minimum order size and/or charge a small fee. Now, you probably already do a grocery shopping list…but do you have a running to-do list too? A “brain dump” of EVERYTHING you need to do can actually save a ton of time. You won’t have to sit around stressing and thinking about it. You can write it down and hopefully push it out of your mind until it’s time to do it. I’m completely obsessed with Trello for my lists. I love that everything is nice and organized by category (aka boards) and I can move the tasks from “to do”, into “doing” and finally “done”. For running lists like grocery lists, you could also give Evernote a try. Here’s a good post about making a Evernote grocery list. Use printables to make your life easier. Speed Cleaning Checklist – This post has awesome speed cleaning tips and a free checklist to clean your entire house in 30 minutes! Free Printable Calendar – Everyone needs a good planner and this one is gorgeous (and totes free!)! It has a weekly & monthly breakdown and also features a gratitude tracker, habit tracker, meal planner, daily to-do’s and more! Organized Grocery List – Staying organized in the grocery store will allow you to stop wasting time wandering aimlessly down aisle you don’t need to be in. You’ll also save money! Printable art is such an easy and quick way to decorate your home! I love using printables to decorate for the seasons. Sometimes I want to add a little something special to my home for the seasons, but I simply don’t have time. I try to keep some cute seasonal printables handy to pop in a frame and voila! You can check out all of my free printable decor here. There are tons of gift ideas that you can print at home. Yes, that’s right. All you have to do is buy it, push print on your computer at home and then wrap it up. Boom…done. 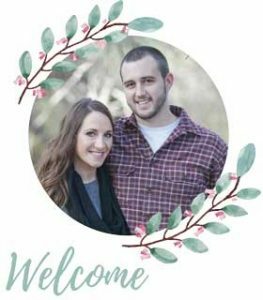 One of my favorite places to look for high quality printable gifts is Etsy. In the spirit of making your life easier, girl….you gotta take a break. Whatever it is that you’re working on, you have to be able to take a break! With my time blocking scheduling, I’ve worked in Wednesday nights to completely take the “night off” from work/blog/crazy life related tasks. I try to just sit on the couch and veg a little. Logan and I will also use this night for a date night when we want to go out. This tip may not technically make you more productive instantly, but it will keep your sanity in check and prevent burn out. Your days are filled to the brim with story time at the library, preparing snacks, and cleaning up the toys for the thousandth time. If you’re a busy mom, you’re probably looking for ways to be more productive with your limited time. 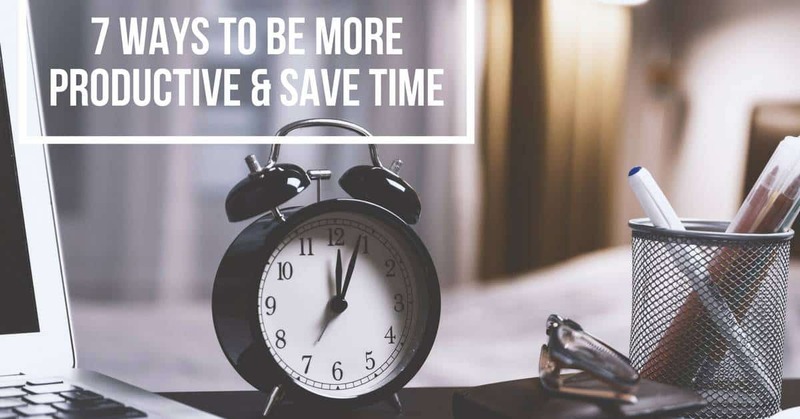 Hopefully these time saving tips will help you be more efficient and get the most out of your days. Remember that even simple tips like using the crock pot and taking advantage of grocery pick up can give you back more time. What are some other ways that you save time? Any other tips for how to be more productive?